The China's state-run media had declared that India should either withdraw its troops 'with glory or be kicked out', the state-run 'Global Times' said in an editorial that India will assault 'greater losses' than 1962 war if it 'provoke' border tussle with China. The paper also added that the India should taught a bitter lesson. We believe the Chinese People's Liberation Army (PLA) is powerful enough to expel Indian troops out of Chinese territory. The stand-off began on June 6th on a mesa next to Sikkim. 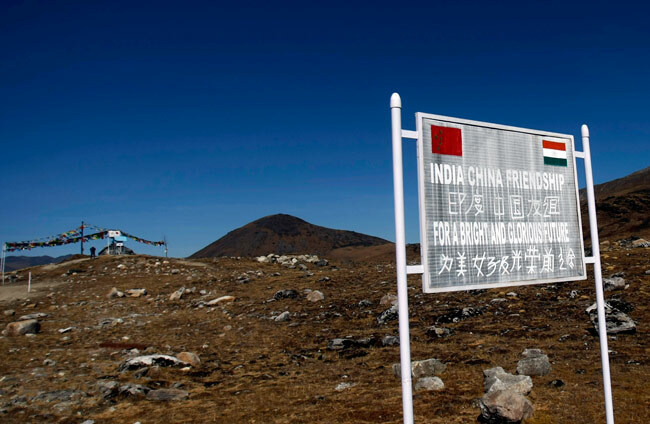 China claims that Indian troops crossed into China's Donglang region (Doka La is the Indian name for the region) and blocked work on the road on plateau. India said that the road is a serious security concern and the area which the China is claiming as its own is disputed by Bhutan as its territory. Bhutan has given the diplomatic and military support by India. Strategically, the remote area that is now hosting the tension is key because it is the narrow sliver of land that connects India's seven northeastern states to the rest of the country - the region is called the 'chicken's neck'. Sikkim is cram between Nepal, Bhutan and China.